I’ve been looking for a place to recycle waste in Riyadh for a long time. Probably one of the most frequently asked questions I get from readers are “where to recycle clothes, old appliances, glass, metal, batteries etc”. I must admit, one of the most shocking things for me in transitioning to life from Finland to Saudi Arabia was the lack of recycling practices. Coming from a Scandinavian country, where we recycle almost everything (by law!) I felt like a criminal throwing glass jars and metal cans into the trash bin along with all the other rubbish. Recycling becomes a part of life when you are used to it from an early age, and recycling doesn’t really take that much of an extra effort. So the people who are already used to the system and mindset or materials being reused for other purposes feel guilt when they have to throw away everything in the same bin. The problem that many people face in Riyadh has been where to take all these glass, plastic, paper and metal products for recycling? Where to donate all this old clothing to? How about old furniture and appliances? I was most shocked to find out that even batteries are regularly thrown in the same garbage dump. I was so happy to hear about a recycling place in Riyadh where we can take all this problematic and toxic waste and everything can be dropped off in one place. Recycle center map location at the end of this post! 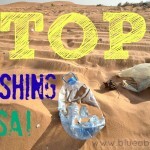 The use of plastic in Saudi Arabia is extremely worrisome. Whenever I go out to the beautiful desert and other amazing places that can be found in Saudi Arabia, I see what kind of detrimental effect humans and their obsession for plastic bags, water bottles and plastic cutlery does to nature. One of my pet peeves is going to the supermarket, pharmacy or a baqala (small convenience store), where every single small thing you buy will be placed in one plastic bag. Why? Why is there a need to put a tiny box of medicine for example, into a plastic bag? When I can just put it in my pocket, or handbag or carry it in my hand! The use of plastic bags in Saudi Arabia is totally out of control. The country is drowning in plastic. 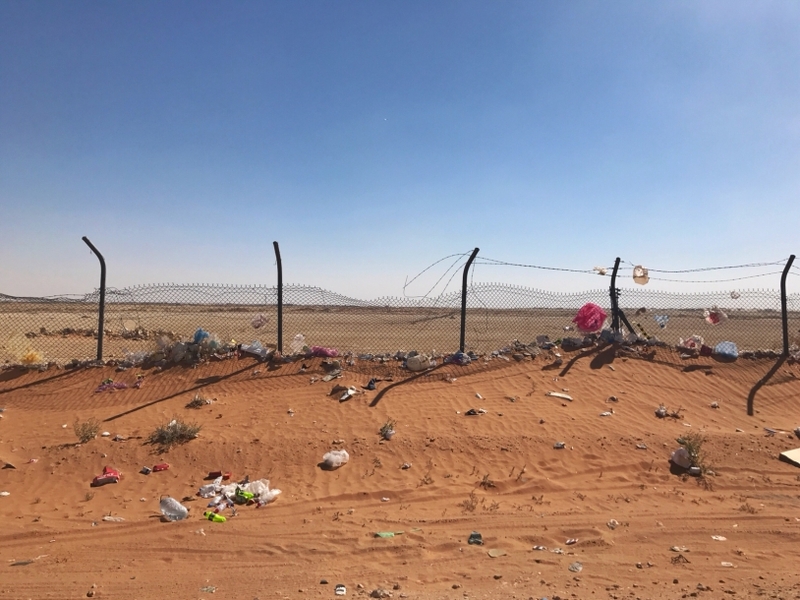 Sadly, going to the desert nearby Riyadh often means having to mingle with a bunch of left behind picnics, plastic bags and bottles. Same goes for the public beaches around Jeddah and Gizan, and the valleys, national parks and the beautiful forests in Asir. Pretty much anything within a 50 km radius from a city is going to look like a garbage yard due to those very same plastic bags we are forced to use everyday, and which people with complete disregard to nature throw onto the ground. Sometimes large trash cans are provided in some areas, but they’re not emptied at all, or not often enough. Weather conditions and animals cause the trash to fly out of the garbage cans out into the nature. Other animals will come and spread trash around further. The large yellow trash cans we can see in many places have no lids, so all the birds and cats can just jump in and take the trash outside and it spreads around, even if humans tried to do the right thing and dispose of their waste in them. Plastic bags bags should be BANNED in Saudi Arabia, like they already have in several places around the world. The plastic bags can be replaced by cloth bags, paper bags, or reusable bags. An example of the plastic madness from everyday life in Riyadh: When you go to a grocery store the have baggers who are actually TRAINED TO WASTE PLASTIC. I know a lot of people reading this from outside KSA will not believe anything so absurd could be the norm in the year 2018 but it’s true. Yes, the bagger is instructed to use a mass load of bags for a just a couple of grocery items. Go to any grocery chain in Saudi Arabia and you’ll find the same problem, the baggers never fill the bags up, unless the customer specifically asks and insists otherwise. This has got to change!!! For example if the customer buys a bottle of milk, a shampoo, a loaf of bread and some bananas, instead of using ONE single bag to pack all of them, these would be placed in five bags, double one for the bananas. Every single time I go to the grocery store I face the same issue that I have to go and instruct the bagger to fill the bags up and stop wasting so much plastic. They give me weird looks but I still do it, because it’s really the least I can do if I don’t have a reusable bag with me. Sometimes they won’t understand and that’s when I just take the bags and start filling them up myself, I’ve also taught this to my children and they will advise and help the baggers each time. It’s definitely not the norm to do this and most people seem to have no idea why I wouldn’t want all those plastic bags. An even better option would be to always remember to have your own reusable shopping bag for packing groceries. Although I’ve noticed that the baggers will not know how to use the reusable bags, unless instructed. They first try to place the items in the plastic bags then place all those inside the reusable bag! You can’t make these things up! Everyone can start making small changes life, DAILY. Everyone can do it. REFUSE to take that plastic bag. Get a reusable bag for groceries. Tell the bagger to use less plastic. Refuse that straw, you don’t really need it. Take your glass, batteries and metal waste to recycle unit. Most people have drivers, give the recyclable items to the driver once a week and he takes them. No extra effort needed. When taking laundry out, refuse all the extra metal hangers and plastic wraps. 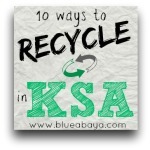 Read this post for 10 ways to recycle in Saudi Arabia. When you’re at the park, don’t litter. Call people out for littering. Honestly this really does help. Pick up trash left by other people, be an example. Show an example to your kids by teaching them how to recycle and pick up after themselves from a very early age. Insist that the kids school begin teaching recycling and respecting nature as part of the curriculum. There are hundreds of ways every single person reading this can help. To be fair there are many environmental awareness campaigns in Saudi Arabia, more and more each year. So there definitely has been a positive change from what I’ve seen in the 10 years time I’ve been in Saudi Arabia. 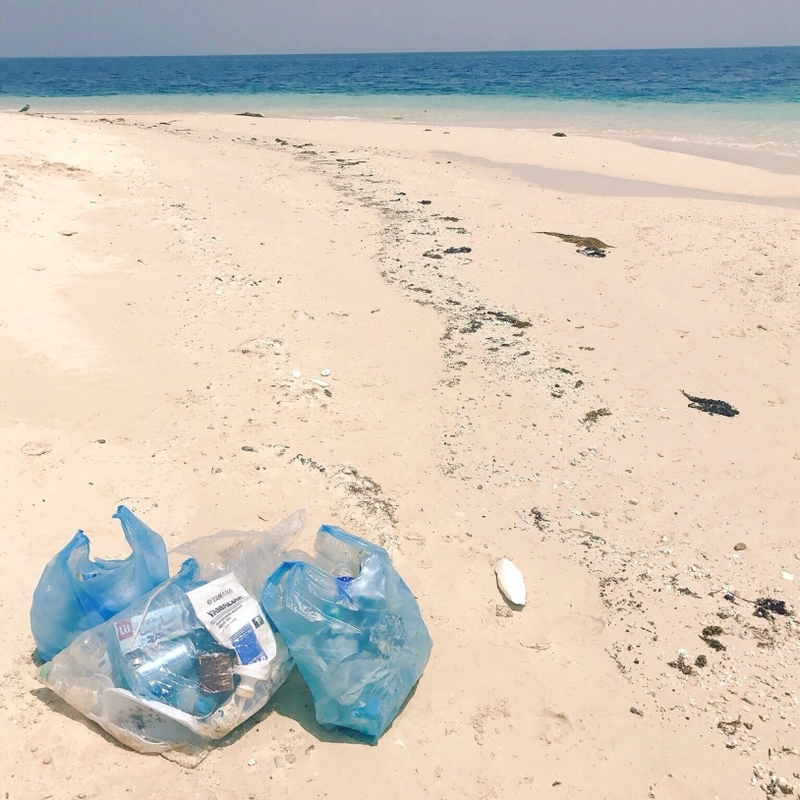 Things which have the most dire impact on the nature, such as the use of plastic bags and water bottles needs regulations and laws set to be effective. B) customers have to pay for their bags and this will greatly reduce the amount being used. 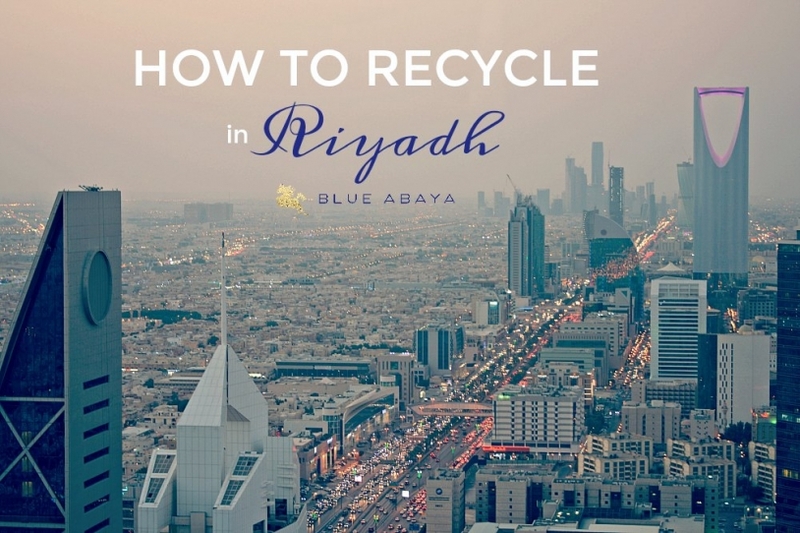 My main reason for this post was originally to share the location of the center where you can recycle in Riyadh that I found out about recently. As usual when speaking about matters close to my heart, I got carried away about how the environment is not being protected enough in Saudi. I do this because I genuinely care and I want things to change. It’s something I’m passionate about and can talk about on and on. Without these things being addressed and talked about, things will not change. This is my second home country and my children are half Saudi, I want them to be able to live in a clean safe environment in the future and for future generations to be able to enjoy Saudi Arabia’s nature the same way we can now. I was so excited to find this recycling place in Riyadh where they will accept multiple things at one location. Instead of having to go around the town to multiple different locations to try to recycle waste and in the process spend several hours stuck in traffic, there is one place in the city center that we can now take it all to. They can also come to your house to fetch larger items such as furniture and old appliances. So this is fantastic news indeed! It’s not the same as we have in Finland but this is absolutely better than nothing and a great start! What to do: Drive to the location and have your items already separated in bags or boxes. Plastic bottles, glass, metal, clothing, batteries, all separately. Just hand over your waste to the staff and that’s it. Or alternatively you can use the existing recycle bins. There’s containers for plastic, paper, clothes, and one for shoes and they give these to charity. It’s open daily from 9 am to 11pm. Fridays after Jumah prayer. If you know of a similar place to recycle in Jeddah, Khobar, Abha, Dammam, Qassim and any city on KSA, please leave the info in the comments to help others to find these locations. Please also leave in the comments social media handles for Environmental awareness campaigns, charities that accept donated clothing and any other related information that will benefit everyone. Saudis Could Take Lessons from Finnish Schools! very interesting article. It is worth noting that the recycling location you mentioned is actually a charity collection spot mostly for clothing or anything that can be donated to those in need. Hi thank you for the links! it is for charity and recycling. I called tadweer, they only do electronics! 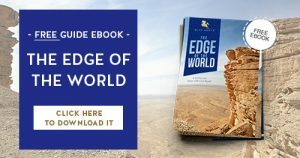 I always take my bag and have an extra one in my purse.For me it is very strange that people from Europa are not doing what they do in there homecountry: take there own bag…. – big bags of bottles and plastic items. – bag of tetra brick. – bag of paper and carton. they took everything. Easy and quick drop. today Saturday 14th april, second successful delivery. QUICK and EASY. I would to ask about the center for recycling the water bottles caps. We want to use is as charity for the dialisys patient from the selling from these bottle caps. May we know the center? Hi i have a lot of bottle caps. I would like to know more about this charity.